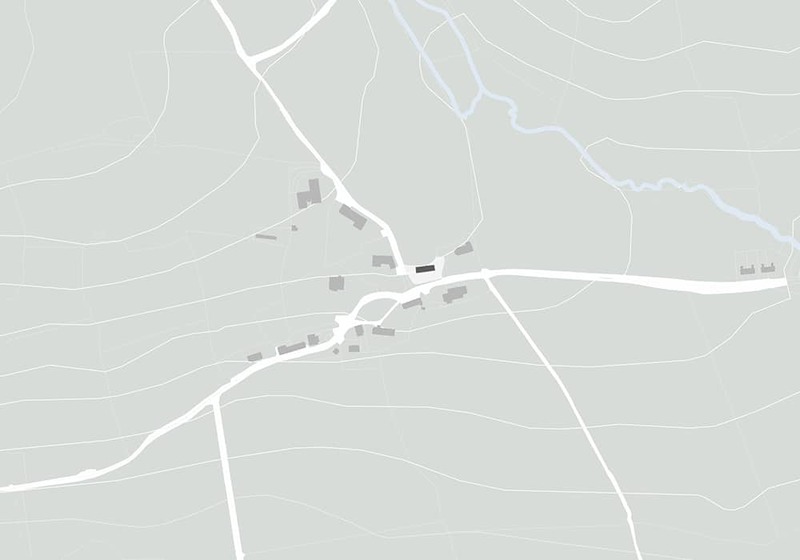 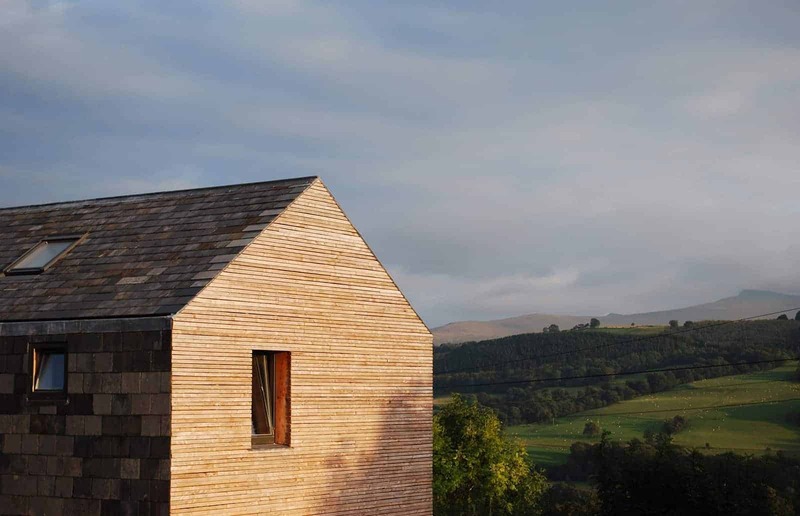 Ty Pren is a passive long house, inspired by the rich local vernacular of the Brecon Beacons. 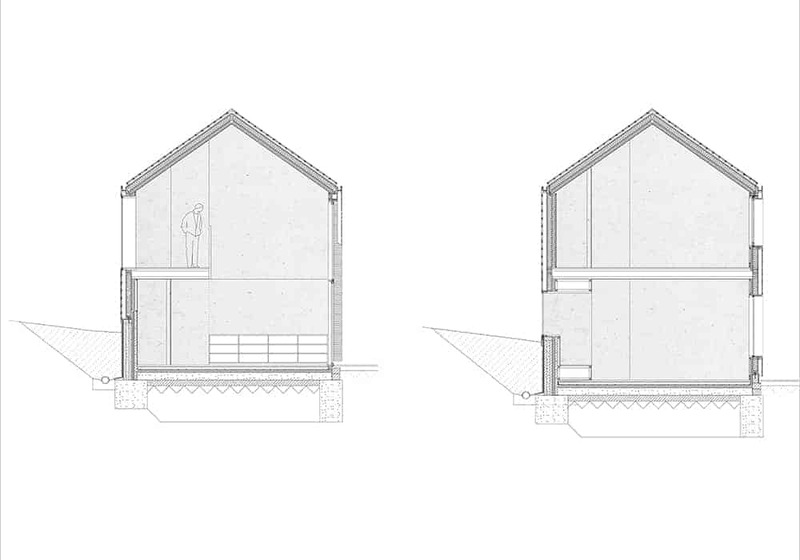 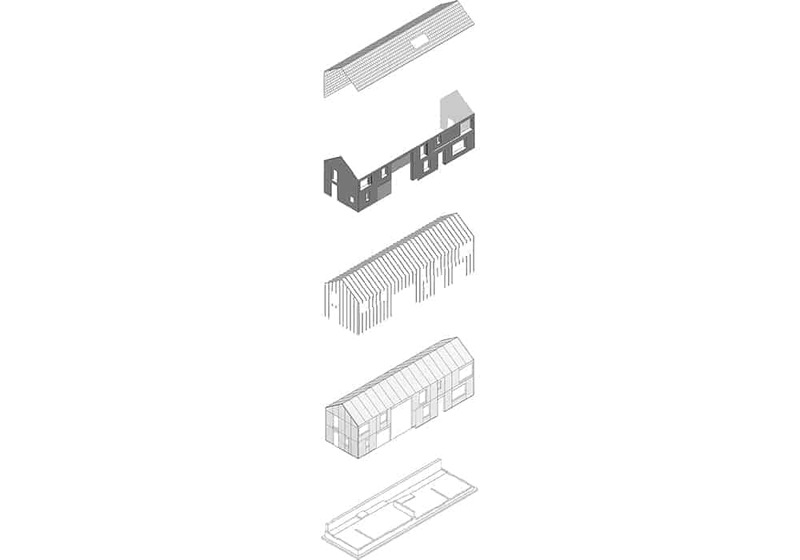 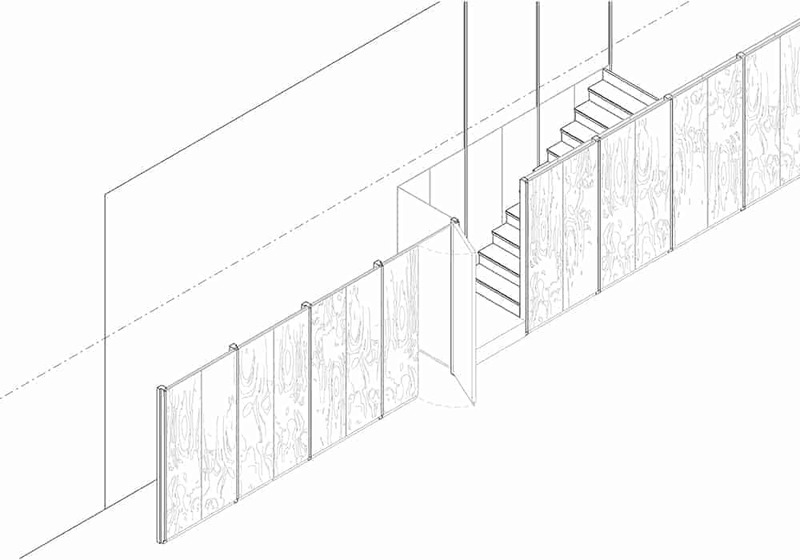 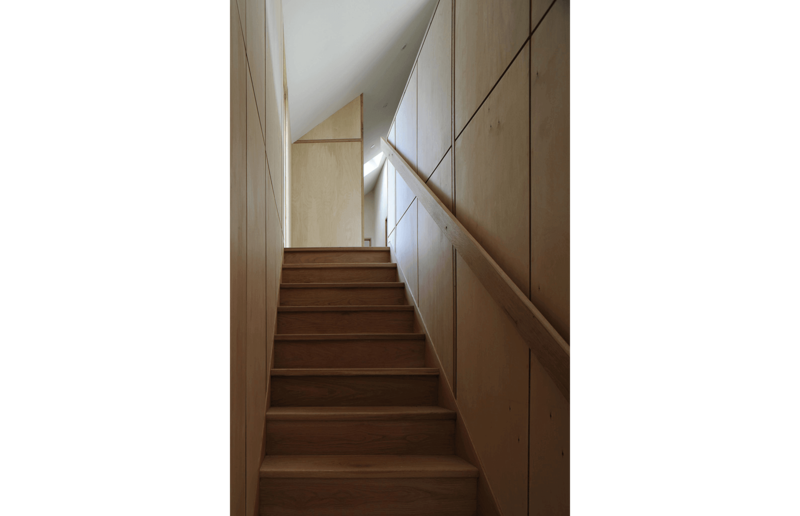 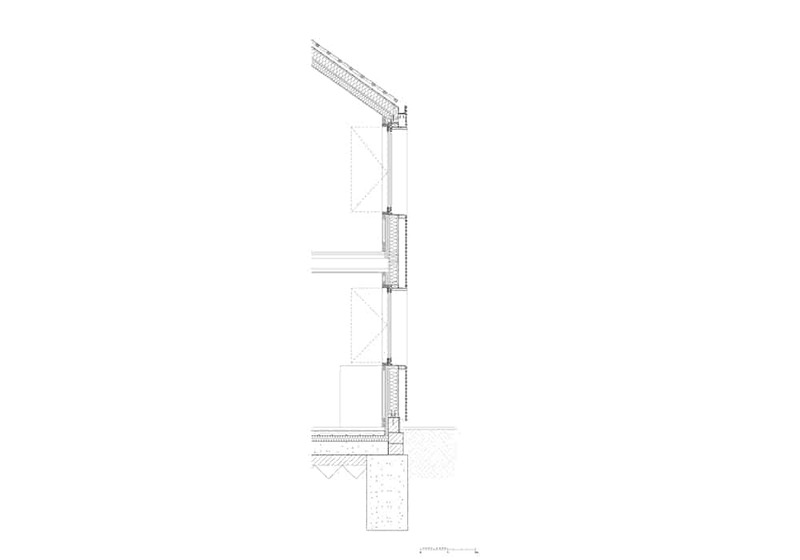 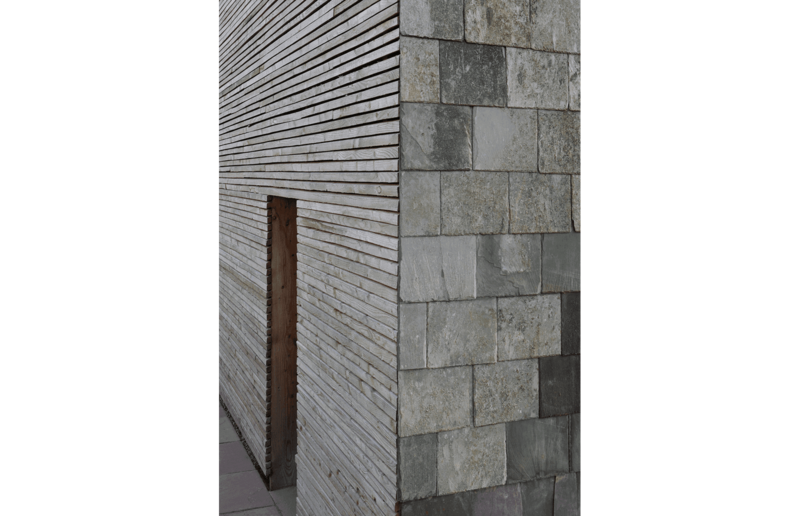 This typology is emphasised as a crisp extrusion, without eaves. 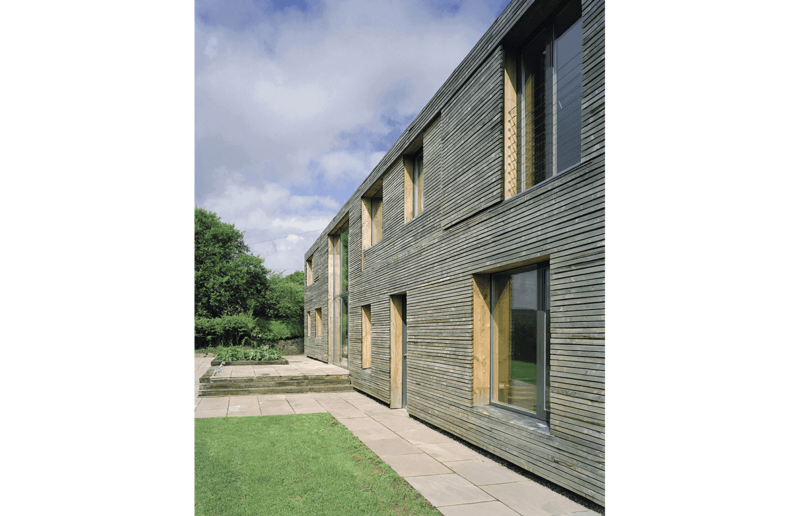 Passive solar principles have driven the elevation treatment, opening to the southerly views over Pen Y Fan with a more robust treatment protecting against the harsh weather from the north. 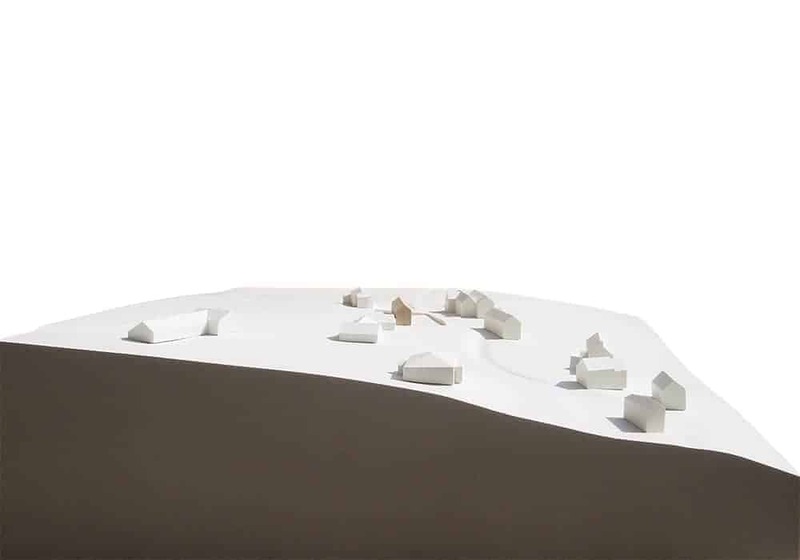 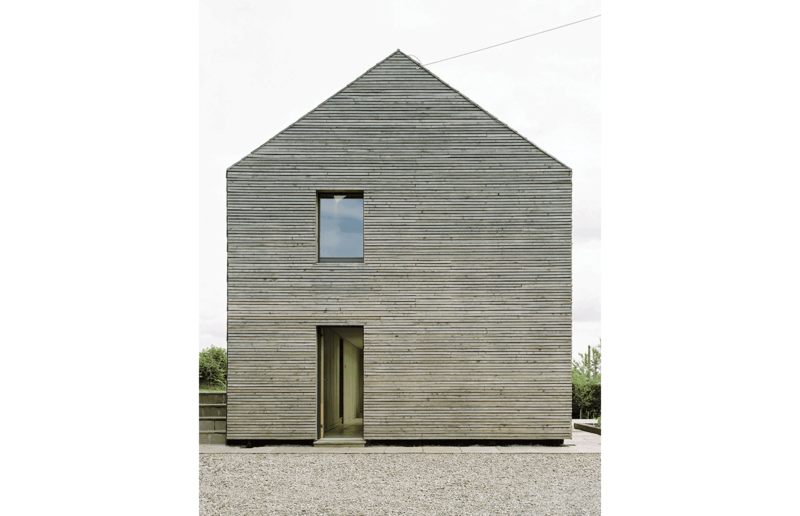 The larch cladding for the ‘solar facades’ was felled from the client’s land 2 miles away and milled on site. 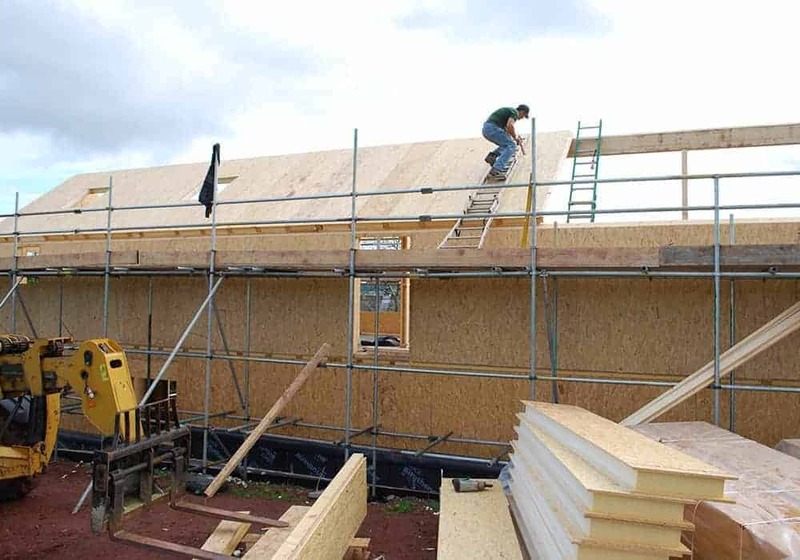 Eight larch trees have been planted locally to replace the cladding after twenty-five years, while the removed cladding will be burnt to heat the house. 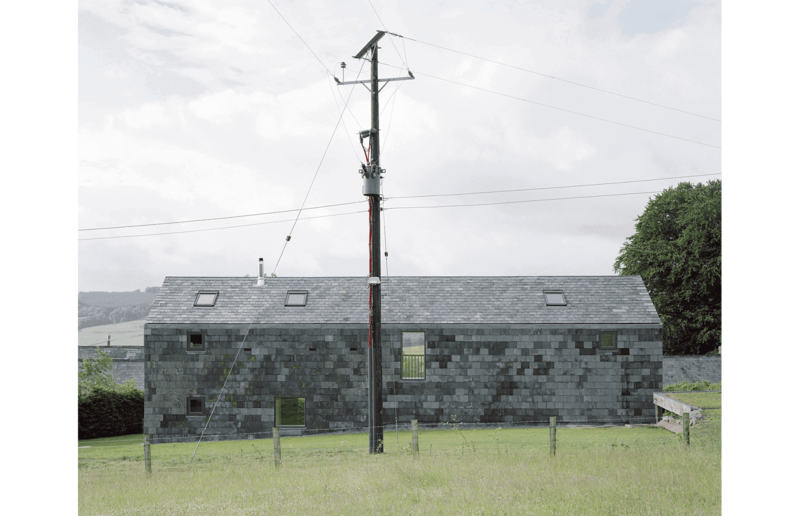 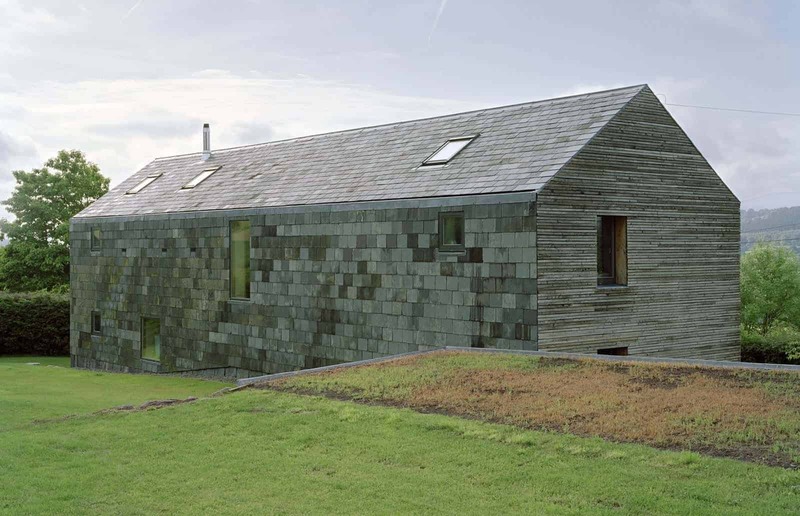 Recycled Welsh slates wrap over the roof and down the exposed north wall. 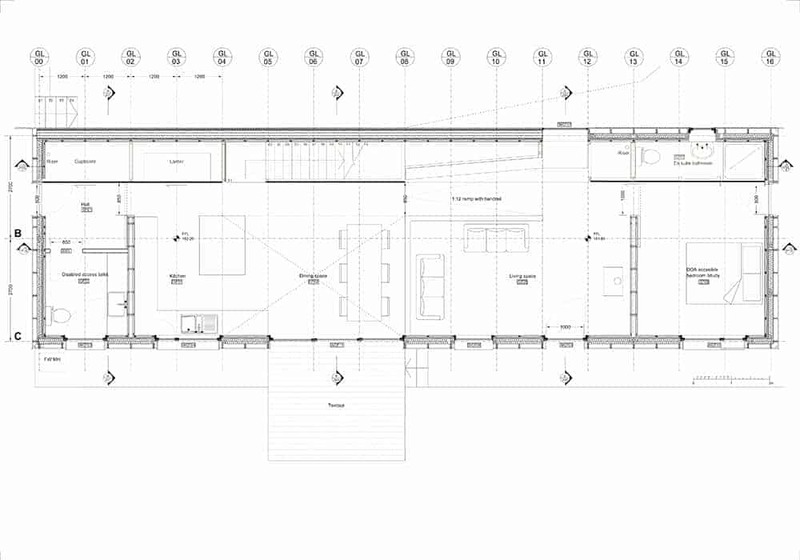 Internally, the plan is strictly modernist along two key axes and with all the services housed in a deep north wall, including the bathrooms and stairs. 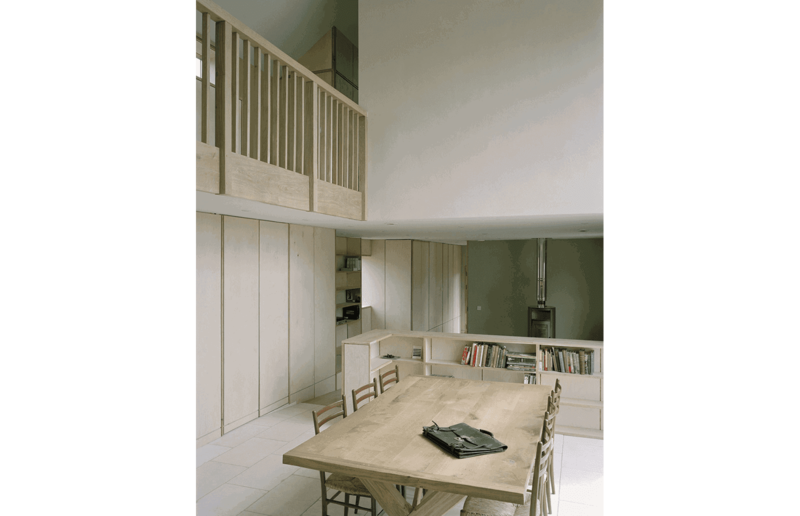 A double height central void provides a natural stack for hot air from the stove and solar gains to distribute to the upper floors. 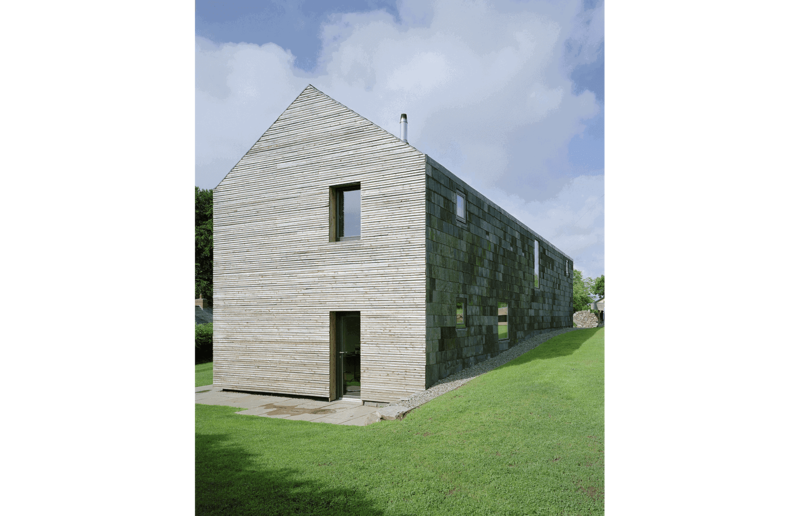 The house is exceedingly green with an emission rate of a mere 6kg/ CO2/ year.